Besides the view from the Empire State Building a visit to the Rockefeller center, the "Top of the Rock", is also well worth the money. From this top of the skyscraper some very unique views of central park and the Empire State Building are visible. 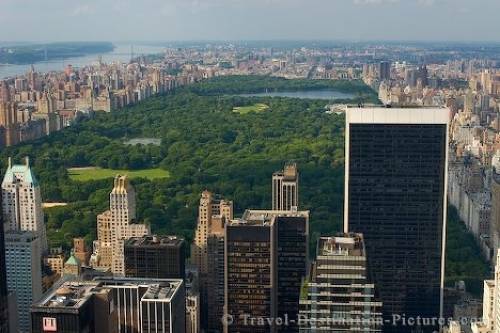 Picture of famous Central Park in Manhatten, New York, USA.